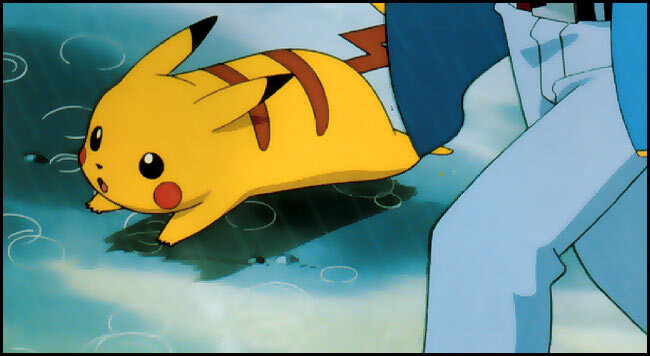 Originally animated in Japan, Pokémon: The First Movie" had to be virtually reimagined for American audiences. Nintendo, which owns all rights to Pokémon in America, brought 4Kids Entertainment on board to handle all the creative aspects of essentially "Americanizing" the movie. 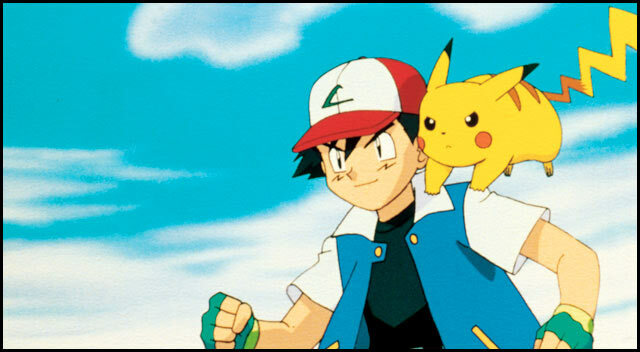 Ash Ketchum and his fellow Pokémon trainers, Misty and Brock, are about to embark on a great adventure-the continuing quest to become the greatest Pokémon masters of all time! Pokémon, the worldwide phenomenon which began as a hand-held video game and virtually exploded across the globe in every form from trading cards to the number one rated television kids' show on the Kids' WB!, hits the big screen with an exciting adventure about the greatest Pokémon battle yet. "Pokémon: The First Movie" follows Ash and Pikachu and their pals to a remote island where they are lured into a massive Pokémon battle which will take all their courage and skill. 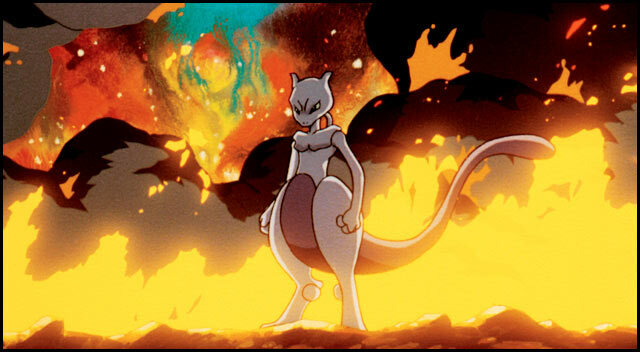 In the ultimate showdown on New Island, the rare and legendary Pokémon Mew must do battle with the bio-engineered Mewtwo, a master trainer and the world's most powerful Pokémon. Let the match begin! Kids' WB! presents a 4Kids Entertainment Production, the American adaptation of "Pokémon: The First Movie" is written by Norman J. Grossfeld, Michael Haigney and John Touhey with voice direction by Michael Haigney. Norman J. Grossfeld, President of 4Kids Productions, is the Producer. The animated film is directed by Kunihiko Yuyama and produced by Choji Yoshikawa, Tomoyuki Igarashi and Takemoto Mori. 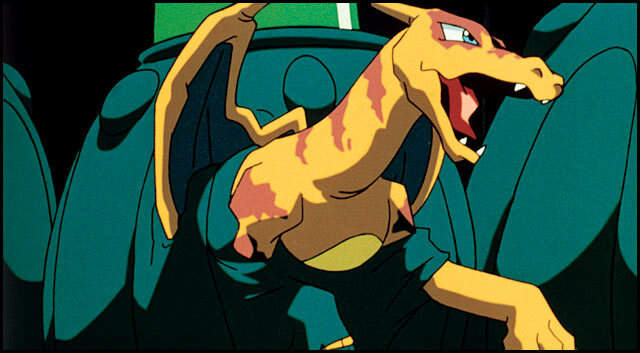 The film written by Takeshi Shudo is based on characters created by Satoshi Tajiri. It is distributed by Warner Bros. Family Entertainment, A Time Warner Entertainment Company. A brand new Pokémon, Donphan, makes his debut in "Mewtwo Strikes Back," the episodic feature of "Pokémon: The First Movie." Additionally, a short called "Pikachu's Vacation," starring Ash's furry pal Pikachu, the most charming and beloved Pokémon of them all, makes its American debut along with the feature-length film. "Pikachu's Vacation" introduces two new Pokémon, Snub Bull and Marill. Now, "Pokémon: The First Movie" brings the Pokémon experience to American movie screens for the first time. The worldwide phenomenon of Pokémon encompasses the fastest-selling Game Boy game as well as the #1 rated TV show on Kids WB! along with best-selling books, music and videos. The phenomenon continues to spill over into sales of licensed merchandise, including a best-selling toy line and a hugely popular card game seen in notebooks of kids all across America. Fan excitement thrives on the Internet - web sites, official and otherwise, proliferate. Pokémon" is the sixth most-searched-for word on the Internet. Upload these images to your mobile now.